Preparing HSK 3 test? 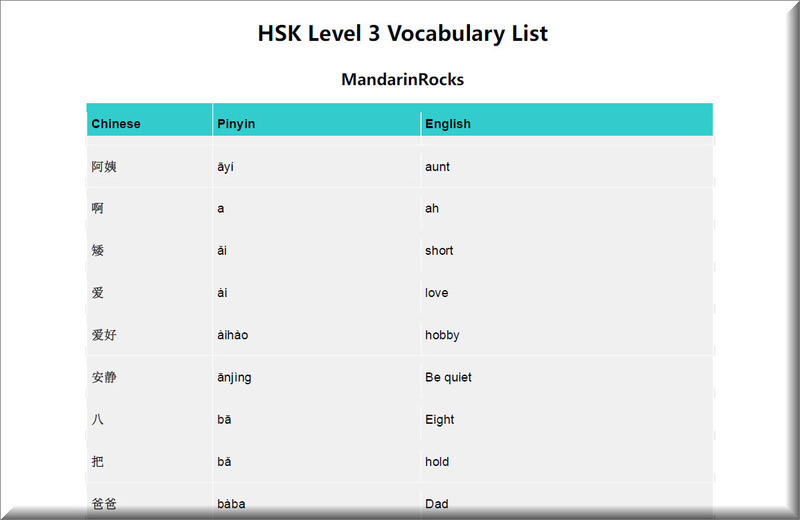 Then this complete vocabulary List for HSK Level 3 comes in handy for you! There are all together 600 words required by Hanban (HSK test organizer) for level 3 (consisting of 300 words from level 1 and 2 with additional 300 words from level 3). Each entry comes with characters, pinyin and English translation.